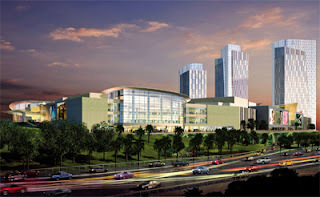 Cititel Mid Valley is among the 16 hotel assets under IGB’s hospitality division. PETALING JAYA: IGB Corp Bhd is said to be mulling over a hotel real estate investment trust (REIT) to unlock the value of its hospitality assets in the country and overseas. Industry observers said the hotel REIT was likely to come about after the property group's 75%-owned unit, KrisAssets Holdings Bhd, had successfully injected its two retail assets in Mid Valley City - the Mid Valley Megamall and The Gardens shopping mall into a retail real estate investment trust later this year. The two retail assets have an estimated total asset value of close to RM4bil and the retail REIT is expected to be materialised within this year. An analyst with a bank-backed brokerage said IGB's new hotel REIT might be the next in line and the plan was an indicator of a positive outlook for the local hospitality sector. IGB owns a stable of business-class as well as upmarket hotel assets and has been streamlining the assets parked under its hospitality division. Plans for more hotels are also under way. Last December, IGB acquired a 50% stake in Great Union Properties Sdn Bhd (GUP), the owner of The Renaissance Kuala Lumpur Hotel, for RM277.5mil. Upon completion of the acquisition that is expected in the first quarter of this year, GUP will become a wholly-owned subsidiary of IGB. 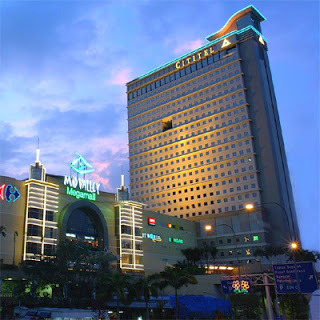 According to the company's website, IGB has 16 hotel assets under its hospitality division including nine in Malaysia Renaissance Kuala Lumpur Hotel, The Gardens Hotel & Residences, Boulevard Hotel, MiCasa All Suite Hotel, Cititel Mid Valley Kuala Lumpur, Cititel Penang, Cititel Express Kuala Lumpur, Cititel Express Kota Kinabalu and Pangkor Island Beach Resort. It also owns seven hotels overseas MiCasa Hotel Apartments Yangon, Myanmar; New World Saigon, Vietnam; St Giles Hotel Makati Manila; St Giles Hotel The Court, New York; St Giles Hotel The Tuscany New York; St Giles Hotel Heathrow, London and St Giles Hotel Central London. Meanwhile, IGB's unit, Cititel Hotel Management Sdn Bhd (CHM), is said to be building two new hotels in Penang. The four-star St Giles Hotel and three-star Cititel Express Hotel will cost about RM180mil and they will be ready for business in 2014. The 32-storey St Giles Penang with about 500 rooms will be the first St Giles hotel in Malaysia.